Two years on from the first International March for Elephants, organized by our iworry campaign, our staff will be marching shoulder to shoulder with other concerned citizens this weekend, calling for a total ban on all ivory sales and more investment in boots on the ground to tackle poaching. Since that first International March in 2013, a world-wide movement has begun, calling for the protection of Africa's great iconic species, the elephant. It was a catalyst to start much of what we have seen today: greater awareness among the global public, steps taken by governments to precipitate the crisis and, this weekend, the Global March for Elephants and Rhinos. It has been heartening, for an organization like The David Sheldrick Wildlife Trust that works on the ground to stem the killings and rescue those left behind by poaching, to see citizens from all corners of the world take to their streets calling for a ban on all ivory sales - for an animal that many have never encountered, but holds a reverence for them. Since 2013, we've seen some major developments at a political level to help Africa's elephants, from ivory burns and crushes in the US, China, Hong Kong, Kenya, France and Belgium to, most recently, a commitment from China and the US to enact nearly complete bans on ivory import and export, including significant and timely restrictions on the import of ivory. But as elephants continue to be killed, it remains critically important for politicians, decision makers and governments to realize the importance that their constituents and citizens place on saving endangered species. 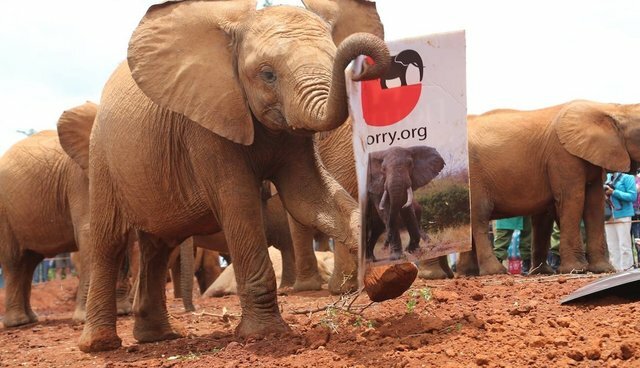 That's why the David Sheldrick Wildlife Trust and our international campaign, iworry, continue to support the Marches and encourage concerned animal lovers across the world to join their nearest march this weekend (Oct. 3 and 4). This year, there are cities from across the world marching, from Tokyo to Seattle. Far from the African savanna, nonetheless, it is recognized that we can, and should, take action to protect such an iconic species. From personal reasons like wanting to protect elephants for your children's children, to the cold hard fact that an elephant alive is worth 75 times more alive to tourism than dead, meaning protecting elephants can help lift communities out of poverty - something many government's aid budgets seek to achieve, there are many reasons why we should take to our streets to call on the world to do more. 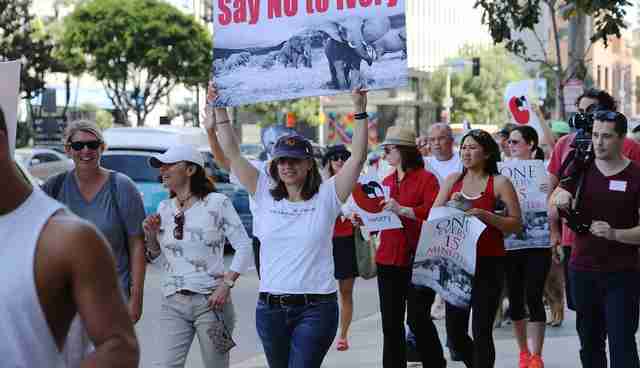 As part of the 2015 March, our iworry campaign will be marching and calling for, among other things: a total ban on all ivory trade and sales, and increased investment in "boots on the ground." But what does this actually mean? A total ban on all ivory sales and trade. It might be well known that an international ban on all ivory sales was enacted in 1989, but domestic trade in countries like China, Japan and the US remains, albeit restricted to certain types of ivory. These legal markets have created confusion among the public and a grey area that has been exploited by illegal traders - a recent report from Hong Kong by WWF found the legal system was near broken and could be directly encouraging the poaching of elephants in Africa. Where permits can be faked, ivory smuggled and illicitly bought, all behind an ostensible veil of legality it is the elephant that perishes. A total ban on all sales would therefore eradicate this grey area, and ensure that no loopholes could be exploited. The Thin Green Line estimates that 1,000 wildlife rangers have been killed in the line of duty protecting the world's wildlife in the past 10 years. Laying their lives on the ground, many anti-poaching forces desperately need more equipment, better funding and training - ultimately investment in their skills and teams. At the David Sheldrick Wildlife Trust, it can cost up to $42,000 to fund an Anti-Poaching Teams activities for one year, including de-snaring, tracking and arresting ivory poachers, monitoring elephants injured by poachers and treated by vets and building vital relationships with communities. Demonstrating their worth, to date the DSWT/KWS Anti-Poaching Teams have removed more than 130,000 snares and arrested more than 1,200 poachers. This weekend presents a big opportunity to make our concerns for Africa's elephants known to our political leaders. Elephants might "trumpet" and be able to communicate by infrasound - but at the political table they don't have a voice and we must be theirs, shouting loud.